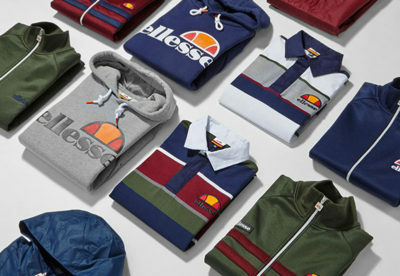 ellesse, a brand that has generally been synonymous with casuals culture and is famous for their Tracksuits of the 90s, has remarkably made something of a comeback over the last year or 2. 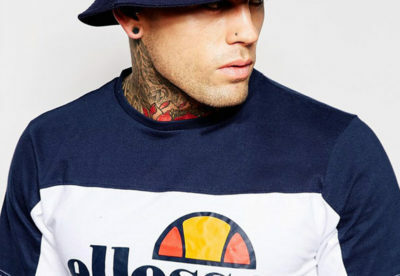 It has increasingly filtered down from specialist and vintage stores into the high streets shops, with their plain tees with the large ellesse logo on the front becoming something of a staple item for many. Their comeback has been driven by the increasing interest in vintage clothing as high street fashion became less and less adventurous, which has caused people to look in specialist stores to find more interesting items. As ellesse was no doubt such a big part of 90s kids childhood, when ellesse Tracksuits were must have items, the nostalgia that surrounds the brand has drawn people towards the brand. Vintage tracksuit Jackets are also much sought after items currently, and with ellesse’s expertise in this area it would appear that they are well and truly back. 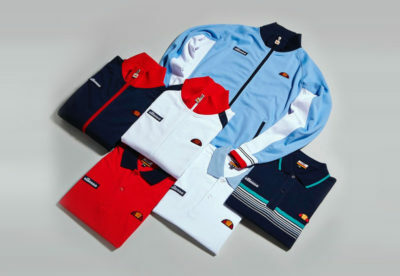 Four ellesse Heritage designs, which maintain the nostalgia yet don’t seem out of place in today’s wardrobes. Their heritage has been embraced by the originally Italian, now British owned label. They have an ellesse Heritage line, which takes their classic designs and adds a twist. With nostalgia at an all-time high amongst the current generation these are designs that can be expected to be increasingly seen in the UK. Sportswear as a whole is also being increasingly embraced and intertwined with high fashion (as it was put by ellesse Heritage’s chief designer Becky Minors, which is another factor behind the brands upturn. The stigma surrounding Tracksuits has been lifted somewhat in the last couple of years and they are thankfully no longer associated with being a ‘chav’, as it has been proven that they can be worn tastefully.As urban and high fashion continue to make a synergy, ellesse will continue to be central to it and continue to grow. Their designs remain classic, not losing what makes them ellesse designs, and it would appear to be a formula for further success. The brand is becoming less and less a brand simply worn for nostalgia, also, and is becoming a part of today’s culture. Finally, to clear up pronunciation, it is Ell-Ess-Eh, the Italian pronunciation of L.S., which are the initials of the founder.